This is the free, advertising-supported issue of this newsletter. If you are a volunteer subscriber and received this instead of the ad-free member edition, please let us know at editor@rvtravel.com . We apologize if we don’t have you on the proper list. We promise to get it right! y first-ever Facebook Live webcast went well last Saturday morning. About 60 of you attended, and we chatted about all sorts of things related to RVing. Mike Sokol even visited by phone. You can watch a replay here. At one point I totally forgot I was “on camera” and caught myself scratching my ear. Geez, big time TV, right? It went so well we’re excited to do more. For now, we’re just experimenting with the Facebook platform — sort of like using training wheels while we learn the ropes. Don’t miss this morning’s webcast with Mike Sokol (see below). Within a month, we will have our own system, so if you dislike Facebook you can participate without Mark Zuckerberg getting his mitts on your information. Janet Groene is now reporting each week on developments at RV parks and campgrounds. There will be a lot of good information that you can use to plan your travels. Read the first installment of “Campground Chatter” here. We know that many readers enjoy poetry. With that thought in mind we’ll publish a regular “Poetry Corner” where the poets in our audience can share musings inspired by their RV travels. Nina Soltwedel is up first with her poem The Silent Sentinels. We set up a Facebook group called RV Electricity, which has helped Mike Sokol expand his messages about RV electrical education and safety, and increase the readership of his RV Electricity newsletter. You do not have to be a member of Facebook to read the posts. Our members, those readers who “voluntarily subscribe to this newsletter,” have now reached 4,000. It’s because of their contributions that we are able to add all these new features (with many more on the way). Would you please consider helping support our efforts? Learn more here. 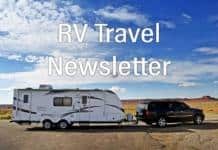 If you are an aspiring RVer or just took up RVing, you may want to read yesterday’s edition of our monthly newsletter “Beginner’s Guide to RVing.” My essay is about why it makes sense to buy a used RV. If you own an RV park and would like some free publicity, contact us. If you offer a two-nights-for-one camping deal (or some other great bargain), we’ll run a coupon for your place for free and we’ll do so often. No strings. We want to find more ways to serve our readers better, and camping discounts are good. Here’s an example from our friends at Big Chief RV Park: Just print it and and enjoy a free night of camping. Tell ’em we sent you! And, remember, if you would like to contact us, we now have a handy form to use. You’ll find it here. P.S. I have jury duty this coming week, so if you email me it may take me awhile to get back to you. Andy shows a young Matt Lauer how to use email. Our contributor Andy Pargh, the Gadget Guru, was once a familiar face to viewers of NBC’s Today Show. You will love this clip from a 1995 show where Andy teaches Matt Lauer how email works. It’s hard to believe that as recently as 1995 email was still very mysterious to most people. This is a hoot! Be sure to watch! Join Mike Sokol on Facebook Live this morning (Saturday) at 8 a.m., Pacific Time (11 a.m., Eastern), to talk about RV electricity. You do not need to be a member of Facebook to watch, just to participate in the chat. If you have a question for Mike ahead of time (keep it 100 words or less), send it to him at mike@rvtravel.com and he’ll do his best to answer. You can also ask him a question ahead of time at the RV Electricity Group on Facebook, which is where the live chat will appear. Our friend and RV show radio host Alan Warren gets ripped by an angry viewer. Then he talks about companies that can be hired to write bad reviews designed to ruin their competitors’ reputations. Watch the 11-minute video (recorded at low resolution so it doesn’t take much bandwidth). • An American military hero has died at age 103. • What do you think? Glow in the dark cars, even RVs? We welcome your comments, ideas and suggestions about this website and newsletter. Your input about how we do things is important to us, and helps us do a better job. You’ll enjoy this. 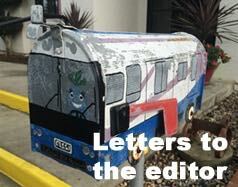 The latest news about RVing from our newsroom. • Washington town bans RV parking, but cops can’t enforce it. • Camping World being investigated again. • Ouch! This rear-ended RV has traveled its last mile! The latest news about developments at RV parks and campgrounds in North America. • Jayco recalls 5th wheels: Fuel tank could fall off. • Entegra Coach recalls some motorhomes: Hitches could fall off. • Jayco recalls motorhomes: parking brake may not engage. • Jayco recalls fifth wheels: Wrong fuse increases fire risk. • KZRV recalls 1,164 trailers for burn danger on stoves. • Jayco recalls 5th wheels for possible incorrect brake line install. • Garmin introduces new RV-specific GPS navigator. After eight years of record RV sales, the industry has quit tooting its horn due to a recent downturn. Industry leaders believe sales will bounce back next year, but that remains to be seen. The overall U.S. motorized RV market dipped 19.3% year-over-year for the first two months of 2019, as both Class A and Class C RVs reported double-digit retail sales declines. Learn more. Veteran RVer Greg Illes, fed up with the performance of his propane fridge and the after-market cooling unit that he later put in it, did much research on all-electric refrigerators before purchasing a new fridge. What did he finally choose and is he happy with it? Find out here. Awhile back we asked RVtravel.com readers whether they had ever loaned their RV to a friend or family member. Out of more than 2,000 readers who responded, about 13 percent said that they did. Here’s what happened when some snowbirders did (and probably wish they hadn’t!). We love giving away stuff! Today, this newsletter and our weekday RV Daily Tips Newsletter are giving away a very cool and very useful George Foreman indoor grill and panini press. Not only is using this an efficient way to cook, it also helps your cardiovascular health by draining off the fat from meats. Enter the contest. Congratulations to last week’s winners, Dan McGuire and Mike Grima, who each won a very cool drone! Will you stay somewhere without Internet or cell service? If so, how long? Do you have a satellite TV service? Do you watch television sitcoms (you sure like “The Big Bang Theory”!)? Do you drink soft drinks? Cheese sticks or candy? You tell us. All this and more, right here. Rich “The Wanderman” recently searched high and low for a Bluetooth speaker that would support more than just his stereo as well as be rechargeable. “Better, Stronger, Faster.” Did he find it? Find out here. A Tesla motorhome? Yup, true! And you thought Teslas were just the coolest electric cars under the sun! Well, that may soon come to an end as you will read in this report. How about this: An all-electric motorhome that not only doesn’t need any fossil fuel, but can blast along the highway at 150 miles per hour? (Geez, better not try do that, though.) Read all about it. How do you keep rodents out of your RV? Rodents — mice and squirrels in particular — can fall in love with your RV just like you. The only problem is they can cause a whole lot of damage, like munching on electrical wires, which can cause RV-destroying fires! Do you have a tried-and-true way to keep rodents out of your RV? If so, will you share your method of what works, and what doesn’t? Click here. If you’re not accustomed to boondocking, you might think that when you are truly boondocking – camping out away from any hook-ups or other amenities, not in a campground and on free public lands – you also don’t have any rules to follow. Not so. Read some common sense tips here. • RV and RV-related recalls for March 2019. • Is this the year to get handy? • Is it safe to run that cheaper Walmart DEF? • Future RVX industry shows abruptly canceled. • Video: Pros and cons of joining Thousand Trails. • What we learned about you last week (March 30 – April 5). • Video: Why NOT to travel with your propane tank on. • If you text and drive, watch this. Please! Our three Facebook Groups: RV Horror Stories, RV Advice and RV Electricity. This is not pretty – dozens of videos of RVs burning up. But the point is to help viewers understand that RVs burn fast, and good fire-prevention habits and a rehearsed escape plan are essential — just in case. Change from week before: Up 5 cents; Change from year before: Up 5 cents. Change from week before: Up 2 cents; Change from year before: Up 5 cents. Here are more than 1,000 special deals, just for today. And the items just keep on changing. If you can’t find a great deal here on something you want, well then, you must not need anything. If nothing else, it sure is fun to poke around here to see the incredible array of cool stuff that’s available today at bargain prices! Click here for today’s deals! Advantages of using a tow dolly: No modifications are required on vehicle. The towed car does not require the installation of specialized tow bar adapters, and the tow dolly is relatively easy to hook up to the RV, if you are physically capable of lifting it and dragging it over to your RV to hook up. Disadvantages of using a tow dolly: Cannot back up: When driving the RV, if you get into a position where you have to back up it is nearly impossible to do. The pivot point is so short that the dolly/vehicle combination has an exaggerated response to turns when you try to back the RV up. With this towing method you have two pivot points (the hitch point and the front axle of the car both turn), and the car will often go in unpredictable directions when backing up. Site too short? Maybe not! Don’t let campground “size limits” scare you away. Check at the registration booth and see just how the size is determined, and if there are longer sites available. Can you unhitch your tow vehicle and park it next to your trailer (or in an overflow site)? At times size limitations are based on park roads that may be too tight for longer rigs – best to check before driving in for a look-see. Tip from Mark Polk, RV Education 101. After the uproar caused by Chuck Woodbury’s opinion piece regarding Camping World advertising firearms in their catalog, and following his subsequent post on “What has happened to us that we are so angry?” retired cop Mike Sherman takes a closer look at these topics because he sees a connection between them and your safety and security. Read more. We sold our house six years ago, bought a Class A motorhome and hit the road. We have had a wonderful journey. We have been all over North America. … I want to buy some property in the Southwest and spend the winters in one spot, but my husband wants to keep moving all the time. … —Stale Mate in Stanton Read the rest of the question and the RV Shrink’s advice. Whether it is a premium spot or laundry credit, the perks of work camping can make or break a gig. Hourly compensation is important, but the details can leave your wallet gasping, needing an infusion of funds. Let’s discuss what’s available and how to negotiate for those extras. Learn more. A very frustrated reader wrote to Gary about a leak in her newly purchased used motorhome and the “diagnosis” and “solution” she received from a mobile RV repair person. Read what got Gary’s dander up and his expert advice (for every RVer). Can an RV be plugged into a Tesla charging station? Mike recently wrote a post about the line of Tesla charging stations he saw in Live Oak, FL, on his way back from the RVillage Rally 2.0. He received some interesting questions about what kind of dogbone adapter would be needed to connect your RV to a Tesla charging station. Is there such an adapter, and is that OK to do? Read this before you even consider it. When people shop for a car or truck very few pay attention to the tires other than to decide if they “look” good. Roger Marble gives his opinion of why people have “big wheels” on their vehicles and what the downsides might be to having them. Learn more. We finally got the mug shot where only finger prints existed before. On Wednesday, April 10, 2019, astronomers announced that they had captured the first-ever image of a black hole. Wow! Learn more. Here is a unique perspective on a possible “border wall” from professors at Purdue University, which sounds like a win-win for (almost) all concerned. Read more or listen to Len Wilcox read this interesting idea to you. A bun-derful sandwich idea. This is a cold and crunchy sandwich to pull out of your pantry any time. Canned corned beef is an emergency provision that keeps for months on a back shelf, then pops to life as the key ingredient in many hot and cold dishes. This filling makes tasty bunwiches or sliders to serve any time in the campground or at a tailgate party. Get the recipe. This small refrigerator fan from Valterra Products will help keep the food in your RV fridge cool and from spoiling. It cuts down initial cool-down time by 50 percent. Runs for more than 30 days on 2 D batteries. Don’t leave home without this! Learn more or order here. If you travel all the time you may have no idea what county you’re in, in case of a weather alert, or what the area code is for local phone numbers. Now you’ll know! All you need to do is tap the icon for an App called “Where Am I?” and all that useful information will be displayed. Learn more. • From Andy Pargh: What is email? Yes, 24 years ago, that was a question! Instant Pot is an Instant Must-Have! If you don’t have an Instant Pot yet, you’re missing out on the best part of kitchen-life! You’ve probably seen these popping up all over the place lately, and for good reason. The 7-in-1 cooker is everything your kitchen needs: a slow cooker, a pressure cooker, a rice maker; it sautees and browns; it makes yogurt; and it steams and warms. If you’re not sold yet, look at these recipes, then come back and order your very own Instant Pot here. FREE! Overnight parking is allowed at this famous Texas BBQ restaurant. RVers must telephone ahead for permission. Park in the marked lane, parallel to the north edge of the lot. The lot is level, with ambient light from street lights. Click here for more details. FREE! Overnight parking is allowed. No signage of any kind relating to parking. Park along the edge of the parking area, without blocking other traffic or access to the gate. Room for 2-3 rigs; recommended only for small to medium-size rigs. The lot is level but not lit. Click here for more details. Rather than an adhesive, this type of tape fuses to itself. It makes a totally waterproof seal that can be used to repair the insulation on electrical wiring in the field. 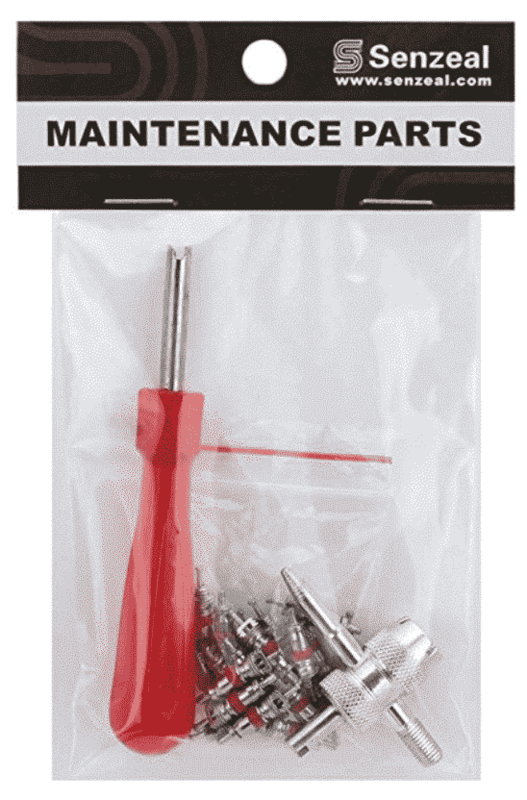 It has all kinds of other emergency uses advertised such as a quick fix for a leaking radiator hose, so it certainly deserves a place in your RV toolbox since it’s a multi-tasking piece of equipment that could save your bacon. Learn more or order. The Kazoo Factory Museum is one of a kind. It showcases hundreds of different kazoos – everything from the plastic toy kind to larger, more unique kazoos. Learn the history of the instrument, hear famous kazoo tunes (Those exist? Oh, I guess so.) and view an old press used to make kazoo parts, music sheets and memorabilia. If you don’t want your partner kazoo-ing into your dreams, skip the gift shop, but visit the museum website to plan your trip. If you use a coin to remove old decals from your RV, you may have an unwelcome guest when the job’s done: Decal “ghosts” – shadowy after-images imprinted in the Filon siding. The solution? A heavy-duty oxidation remover! Pour the remover onto a rough sponge and scrub the Filon in circles. The yellow oxidation will come right up and your RV will look good as new! The remover will also remove stains, scratches and water spots. Learn more or order here. Okay, sit back, relax and concentrate, because it’s time to play this week’s trivia quiz. It’s about some famous people and history. After you’ve answered the seven questions, your teacher will grade your effort. Can you get an A? Find out. Now get going. While on a cave tour in Texas, we overheard a tourist ask, “How much of this cave is unexplored?” I’m sure most cave guides get this question at least once a week. Mathematics is 90% common sense. The other half is intelligence. Editor and Publisher: Chuck Woodbury. Managing editor: Diane McGovern. Senior editor: Russ De Maris. Contributing writers: Mike Sokol, Greg Illes, Bob Difley, Richard Miller, Richard Mallery, Gary Bunzer, Roger Marble, Janet Groene, Julianne Crane, Chris Guld, Dave Helgeson, Chris Fellows, Dennis Prichard, Len Wilcox, Sam Suva, Mike Sherman, Machelle James, J.M. Montigel and Andrew Robinson. Advertising director: Emily Woodbury. Marketing director: Jessica Sarvis. Financial affairs director: Gail Meyring. IT wrangler: Kim Christiansen. Next articleDo you hope to sell your present RV in 2019? The 1995 explanation of e mail is so complicated! I have to laugh a little when I see Tesla talking about making an RV. Elon Musk is truly a genius & I love his enthusiasm but when he talks about coming out with a new product like that I have to wonder if it will ever get to a production line. I have been waiting years for his solar roof tiles but that looks to be DOA. He has great vision but unfortunately for all of us the production side comes up short. Maybe I missed it but what was the sentence from last week? Western Views Article ….. Staff, what does this story have to do with RV Travel? Its just another unnecessary politically charged story that belongs on CNN, not here.